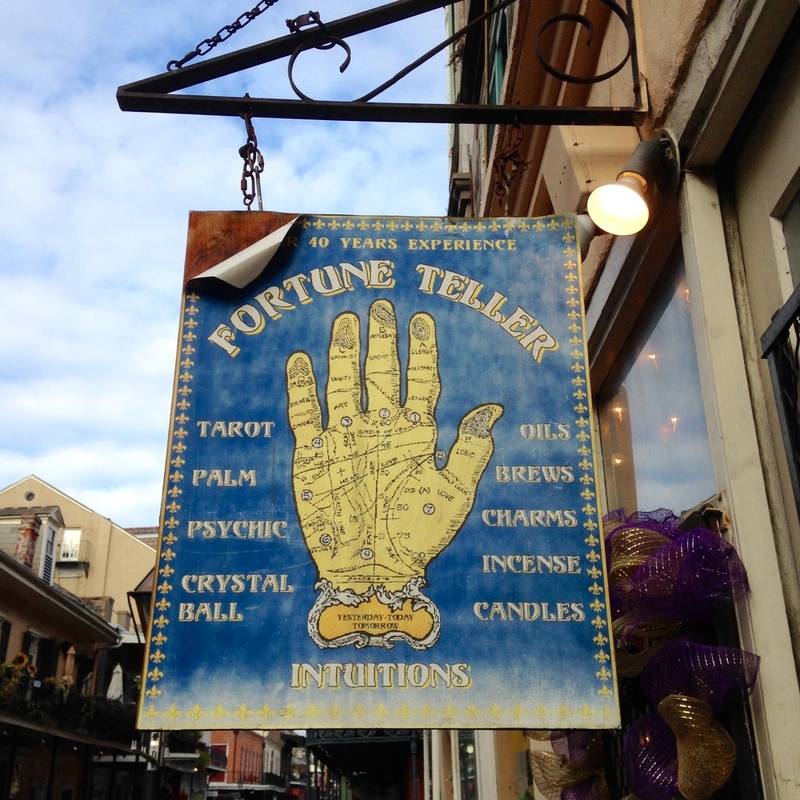 A lot of people think of New Orleans as the most sinful city this side of the Mississippi, and rightly so. But when I tell people I think it's a romantic place, I'm often met with a look of surprise. My grandparents have lived outside the Crescent City for as long as I can remember, and as a little girl when I visited them we would eat at Café du Monde & Commander’s Palace, tour St. Louis Cathedral, ride the Algiers Ferry back and forth across the Mississippi, and peek into the antique shops on Royal Street while we listened to some of the best jazz in the world played right there in the street. I grew up knowing the city as a place full of good eats, beautiful art, loud music, & wild dance; drenched in history, language, and religion; full of mystery & possibility. 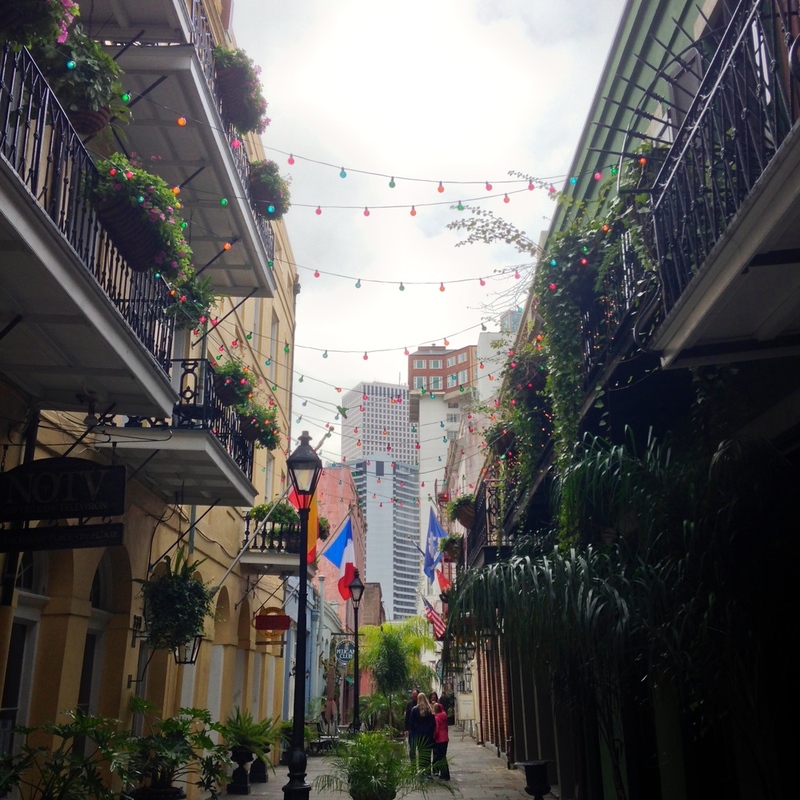 So, having a very different experience than those who have only witnessed Mardi Gras madness, I think New Orleans is a wonderfully romantic city. Like each great city does, it has a character and a personality of its own. But, as with many things in life, the city is what you make it. I discovered that you can find art anywhere if you pay enough attention & don’t get trampled by the crowds while you’re taking shameless shoefies. 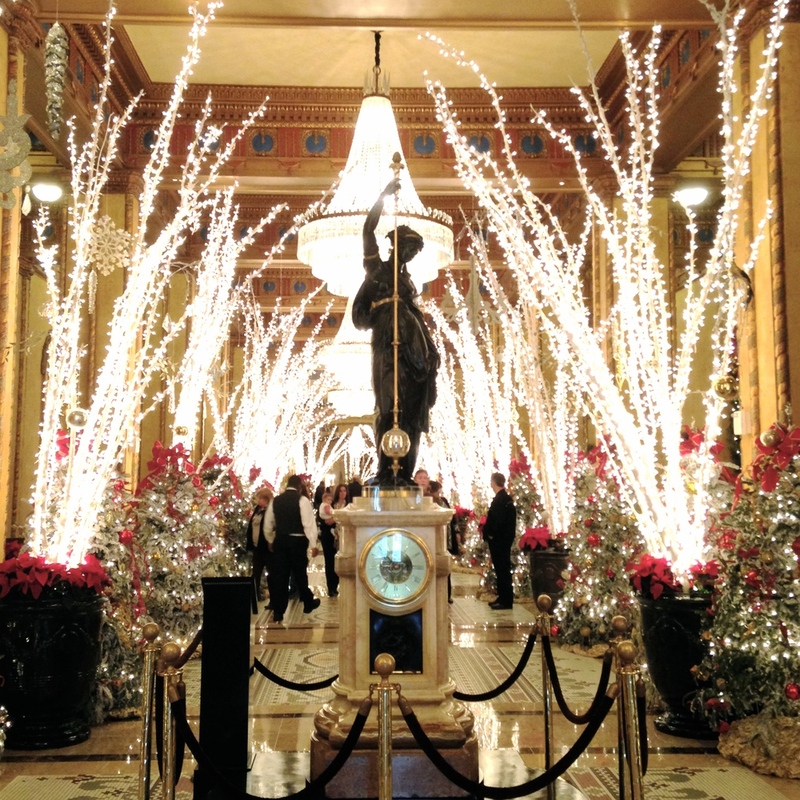 Also all of the fancy hotels around the French Quarter are beautifully decorated for the holidays. 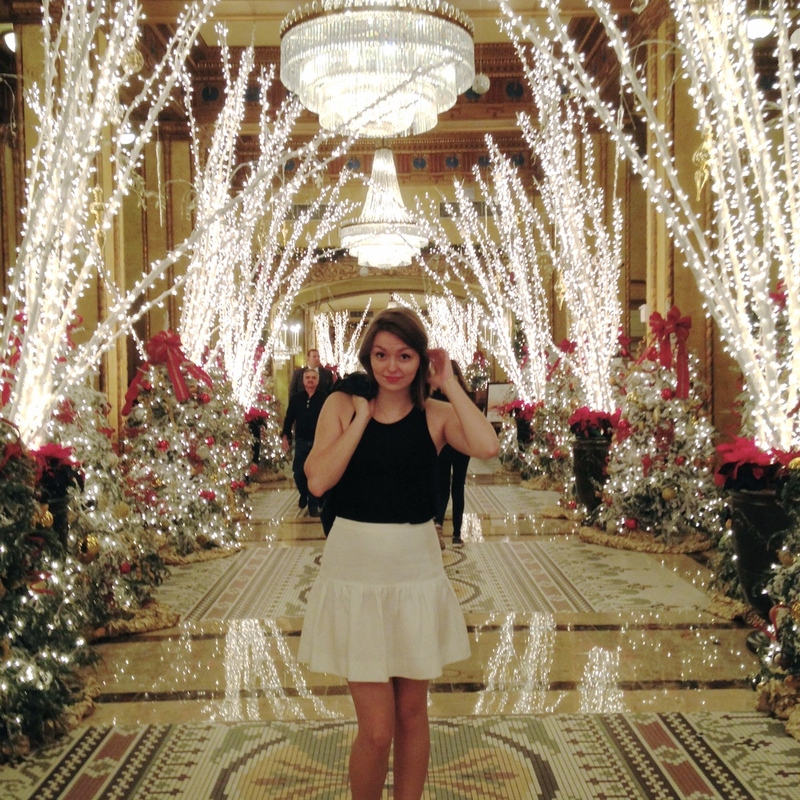 I highly recommend pretending you are rich enough to stay there and wandering through the lobbies to sneak pictures.